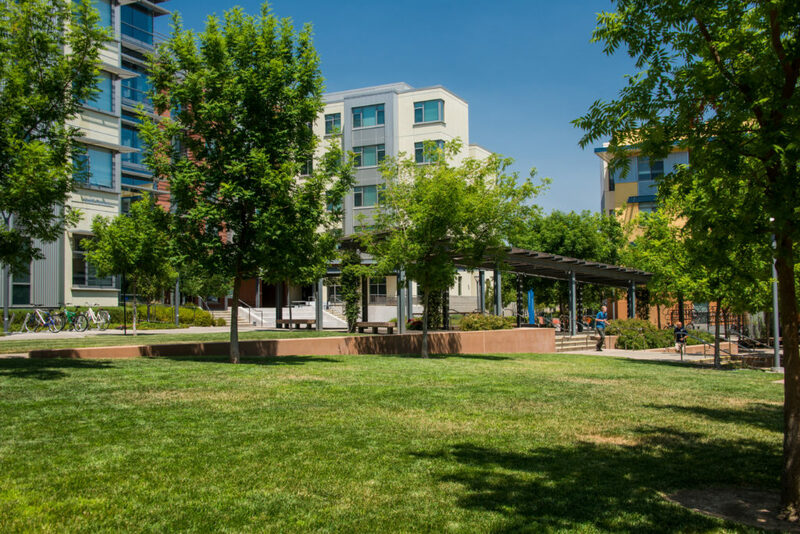 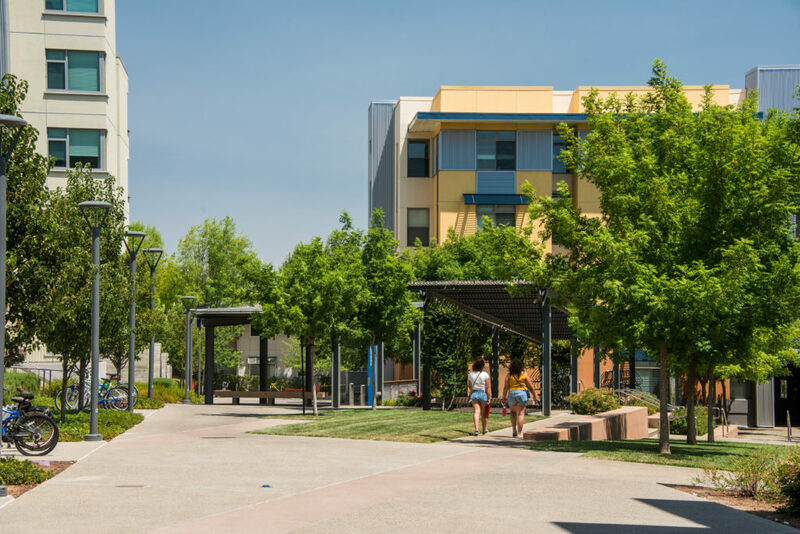 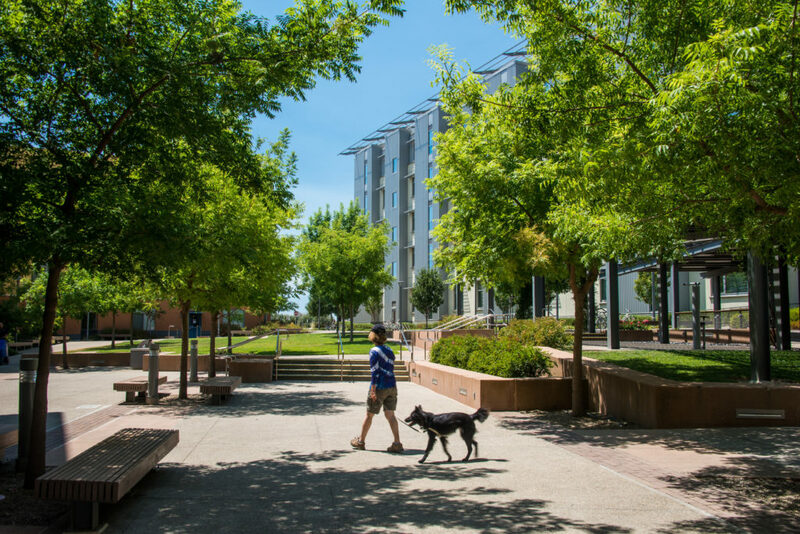 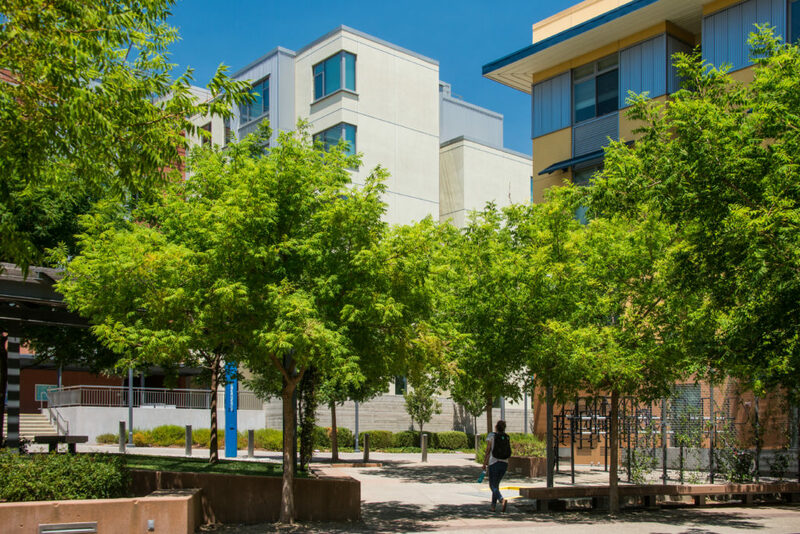 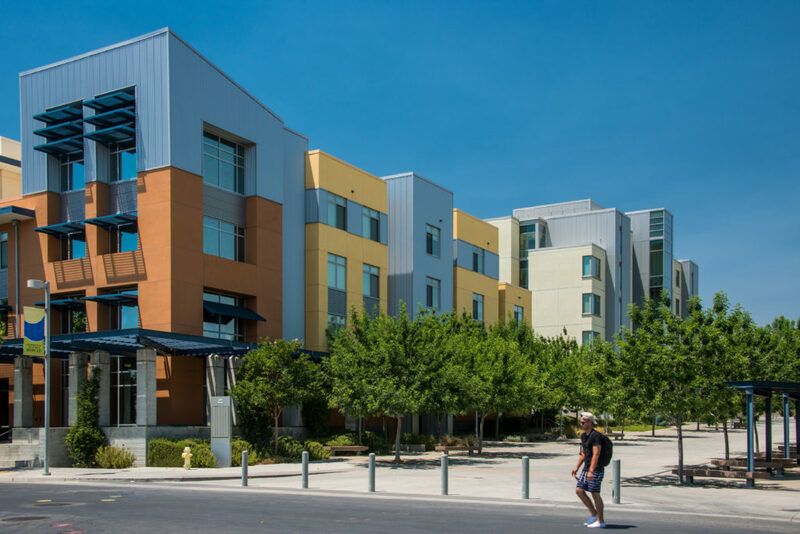 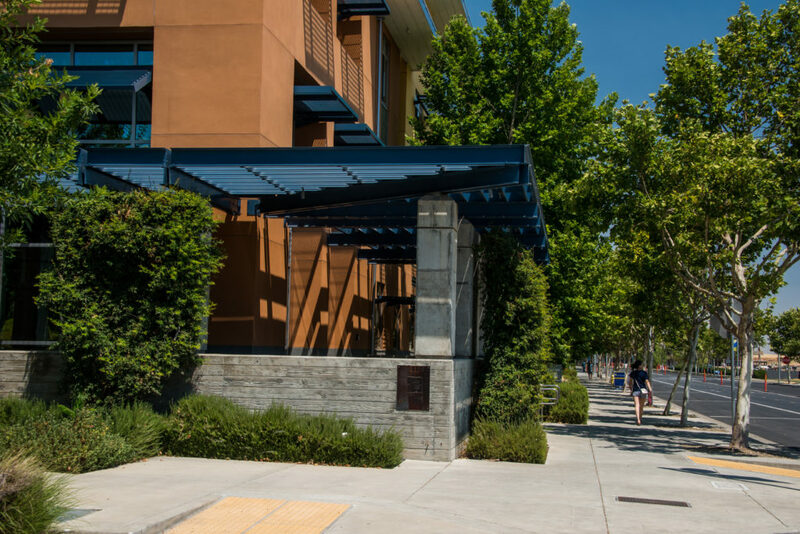 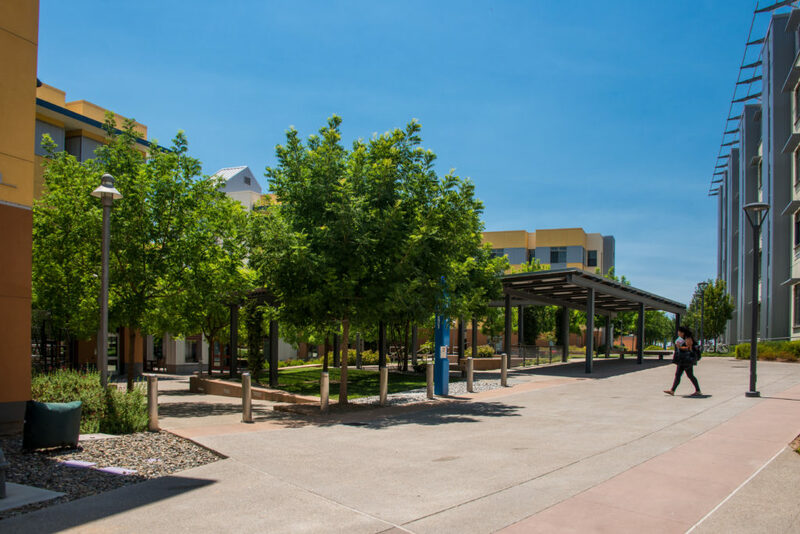 Dynamic outdoor community spaces that reflect the flat, agricultural setting were part of PGAdesign’s concept for this student housing complex. 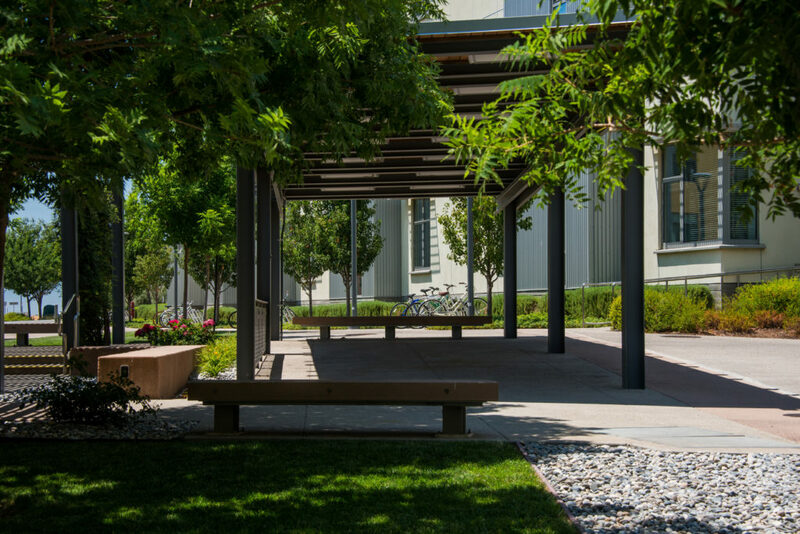 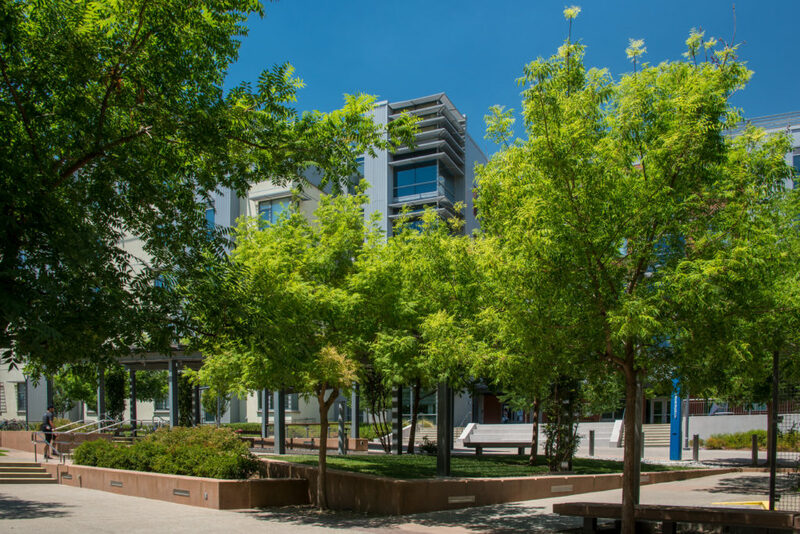 A large terraced courtyard and adjacent lawn offer shaded areas for outdoor study, dining, and relaxation. 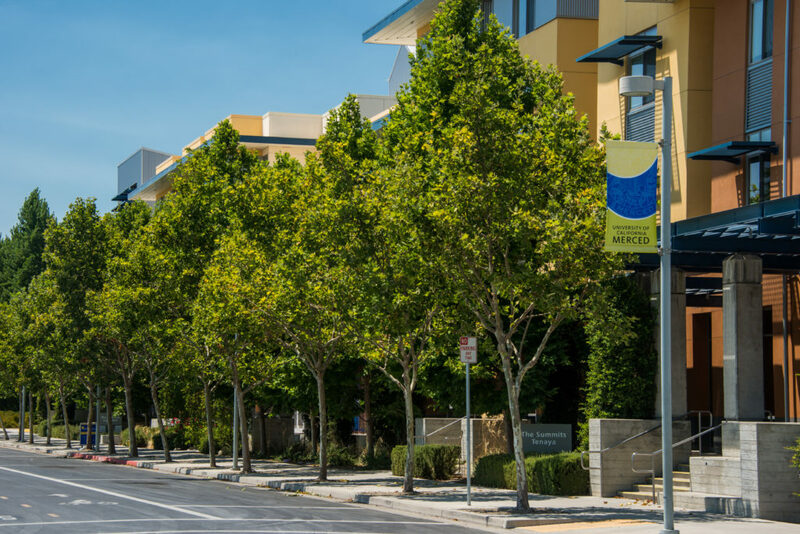 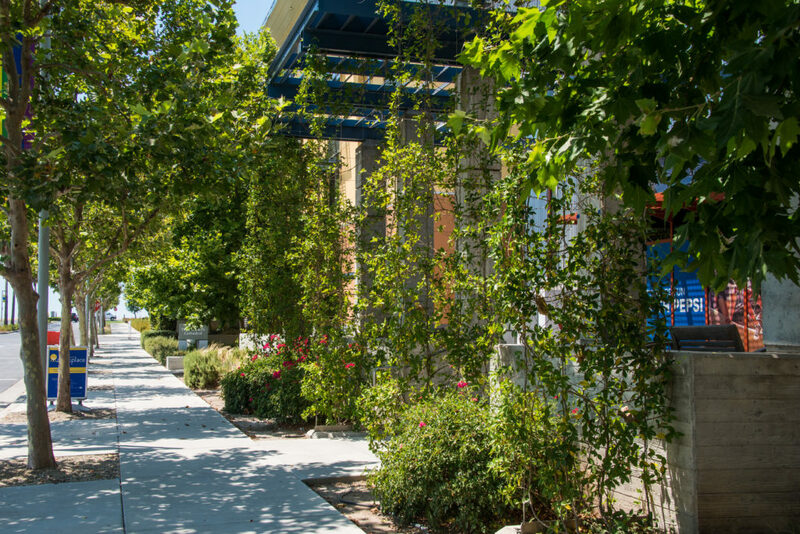 Native plants and local materials make up the tree allees, trellises, paving bands, and seat walls to work in harmony with the surrounding landscape of the Central Valley. Walkways and terraces provide universal access across the sloping site.